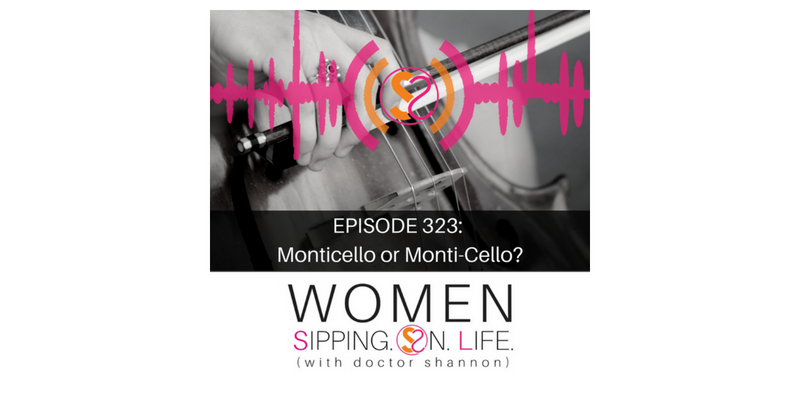 EPISODE 323: Monticello Or Monti-Cello? Being able to clearly see your own side of truth. Being willing to see the other side of truth just as clearly. With another set of eyes. Ultimately, it’s about being able to see, and hear from YOUR HEART. Where in your life are you having difficulty communicating with someone you love? Is there a way in which you can see Monticello as Monti-Cello?